I’ve said it once and I’ll say it again: I love working in the publishing industry because it connects me to so many amazing publishing professionals and authors. One such place I greatly adore is Seal Press, a feminist publisher in California. After my profile of Erika Lust appeared on Bustle, I had the opportunity to interview another of their authors, Cheri Sicard. 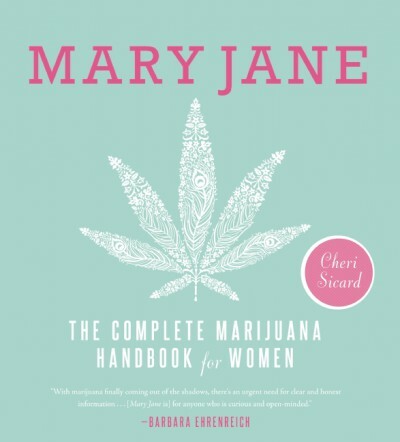 Cheri’s new book Mary Jane: The Marijuana Handbook for Women came out earlier this month. It’s a fun read that provides everything a novice could want to learn, from the laws surrounding cannabis, to baking with it, to the myriad pop culture references to it. When I interviewed her, the conversation took a very interesting and very political turn. Sicard is a passionate advocate and believes that marijuana prohibition is a civil liberties issue, specifically one that should be taken up by women. You can read the full article over at DAME Magazine (another awesome women’s publication I’m happy to have had the opportunity to work with).